Thank you for checking out MB Motorsport Pro Stock Dragbike racing team. Starting at Santa Pod we ended up qualifying in 3rd spot with a 7.43 @180.59, not a bad start to the season and confirming the mods made over the winter were working well. Our next round eliminations did not go as well as our first round, the bike spun really hard and drifted to the centre line, resulting in an aborted run 8.1 @146 very disappointing! First day qualifying 7.28 @295 another PB we were over the moon and 3rd spot. Our second day qualifying the rain arrived so only one run a 7.33 @295 and ended the day in 4th. Sunday eliminations, we were rewarded with a 1st round win with a 7.304 @294 nice and consistent. In the second round we were up against Ulfe. The starter gave us the nod to start the bikes and then I saw something fly along the ground up the track and my bike was not turning over. The look on cliffs face said it all, the starter nut had spun off, game over! Even so we were very happy with the performance of the bike on the previous runs and setting a new PB. We left the bus in Sweden with my very good friend Roger (thanks Roger) and picked up some of rogers family. On the way to the ferry we had a blowout which turned into a major drama as no one had a tyre to fit and we were running out of time to catch our boat! As it is a twin wheeler we decided to limp there with one tyre gone and made it by the skin of our teeth, we made it to the track and addressed the problem there (thanks Timo). Our tyre problems continued as our rear slick had not arrived and the one on the bike was shot! In qualifying we ended up in 4th spot with a 7.36 @ 290. In eliminations first round we were up against Ulfe again but by now the rear slick was completely dilapidated, but we managed a 7.43 @282 not bad considering but not good enough to take Ulfe. We all know how slippery the track was, so we had to think outside the box which worked really well. In Q1 we achieved second spot with 7.65 @284! In Q2 Strange one this ,by trying to take away more power we managed to find a load instead, which killed the ET but the back half speed was awesome at 295 and I had to hang my foot out as it caught on fire from a very hot exhaust but still a 7.65! Our first round eliminations achieved a win with a 7.51, second round and the gremlins came back with a vengeance again ,as cliff went to start the bike the cam chain snapped! Although this was very disappointing at least it didn’t happen on the run so major damage avoided. Test day and what a great start, 7.29 @185 with a terrible 60ft so we couldn’t wait for the weekend. Q1 7.47 @ 177 we were down on power, Q2 7.45 @ 177 still down on power, p6 after first day and a big oil leak. That evening we discovered that the timing plate had come loose and snapped all the case studs, so a late night was the order of the day. The next day's qualifying found we had our power back (good job lads) Q3 7.33 @181 with a1.119 sixty ft! Q4 brought a 7.39 @175 with big tyre shake. In the eliminations our 1st round against Kale what a race side by side all the way kale to the line first by 22inches! 7.4002 @177.83 to 7.4040 @177.84, we smoked the clutch dam it! We had a great 2012 season , the Lucas Oil products keeping our engines in pristine condition and the body work gleaming, and MB Motortsports ended up with a fantastic fourth place! 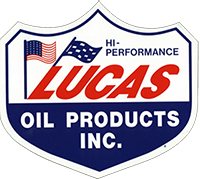 Martin Bishop of MB Motorsport Pro Stock Dragbike team, is pleased to announce a sponsorship deal with Lucas Oils UK.